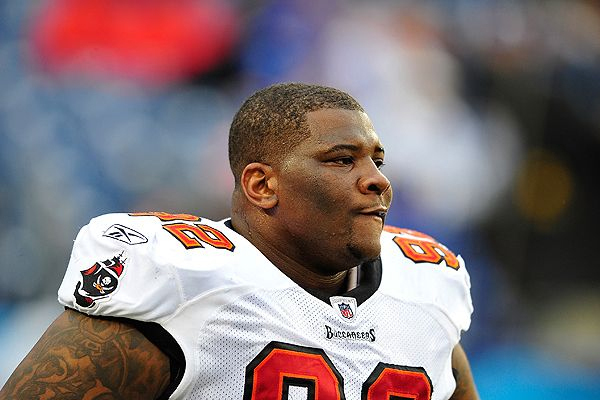 Brian Price was a standout defensive lineman at UCLA and eventually played in the NFL where he was drafted in the second round by the Buccaneers. Unfortunately, injuries cut his career short, but the lasting impacts from the sport may still be affecting him. A video was recently released of Price where he was disoriented while talking to police. Police were called to an auto parts store in April, responding to reports of a man acting erratically. As the cops attempted to calm Price down, he took off running and barreled through the store’s glass doors. Detroit TV station WDIV spoke with Price and his wife, U.S. Olympian Candice Price, about his mental health struggles and shared the video of his encounter with police. Price has no memory of the incident and his wife believes Price is suffering from chronic traumatic encephalopathy, also known as CTE. CTE can only be diagnosed posthumously by examining a person’s brain. A new study released Tuesday diagnosed CTE in 110 of the 111 football players whose brains it examined. The results are troubling but don’t suggest that 99% of football players have CTE. The brains used in the study were donated by players or families who already believed they were suffering from CTE.